Special Bundle Offer: Combine Window and Gutter Cleaning 10% OFF! 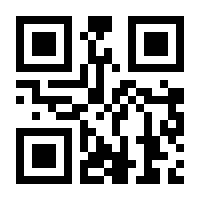 Call me at 720 612-0966 - Free Estimates! When gutters are clogged the water may backup through walls and cause leaks below. 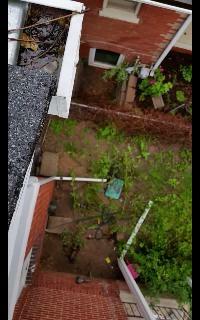 This video (left) shows unclogging a gutter by hand and the water flowing freely through the downspout. During the Denver winters the water will freeze and start an ice dam which may result in damage to the roof, leaks below, and increased snow retention on the roof. Often, on the bottom of people's to-do list is home maintenance chores. Window and gutter cleaning are good examples of tasks that are often left undone. 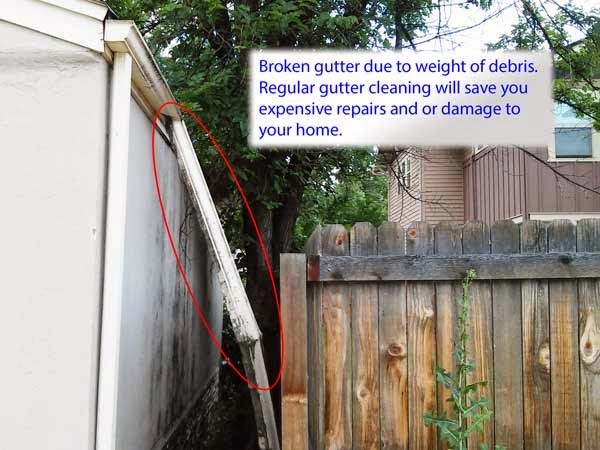 Gutter cleaning will pay for itself, over time, because you are avoiding almost certain expense, sooner or later, from damage to your home, contents, and expensive repairs. Damage from water leaks will cost much more than a gutter cleaning. Call me today! 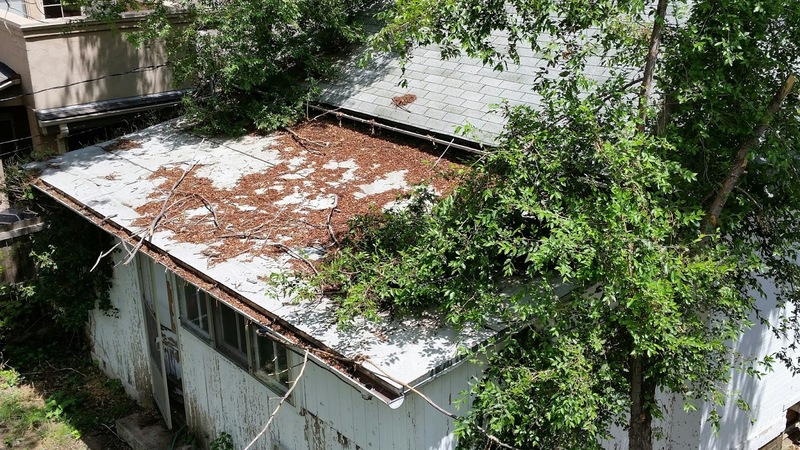 Your gutters are completely cleaned. 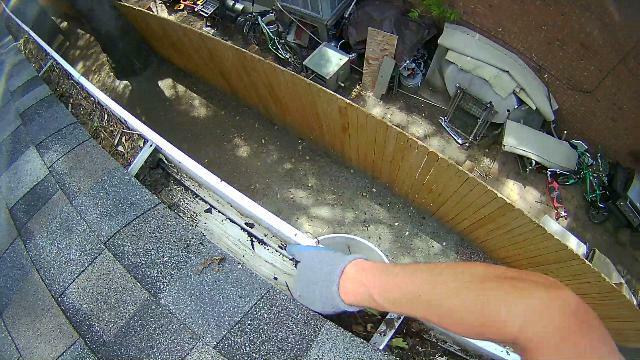 First by hand to get the large debris out, then with my blower to get your gutters 100% clean. Use blower to blow down the downspouts to check that they are clear and working properly. Brief inspection of roof for any missing shingles or anything obvious. Walk around bottom of house checking lower downspouts and cleaning up sidewalks, porches and furniture with blower. No mess left! Rocky Mountain Gutter Cleaning serving Denver Colorado will take care of your gutter and roof cleaning needs.